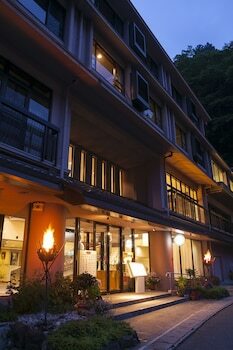 With a stay at Hotel Kazurabashi in Miyoshi, you'll be in the mountains, just steps from Oboke Iya Onsen and a 2-minute drive from Iya Kazura Bridge. Featured amenities include complimentary newspapers in the lobby, multilingual staff, and luggage storage. Free self parking is available onsite. With a stay at Arima Gyoen in Kobe, you'll be within a 5-minute walk of Arima Hot Springs and Kin no yu. The front desk is staffed during limited hours. Free self parking is available onsite. Located in Kyoto (Central Kyoto), Inn Kawashima is within a 10-minute drive of Kyoto Imperial Palace and Nijo Castle. With a stay at this vacation home in Kyoto, you'll be a 3-minute drive from Heian Shrine and 9 minutes from Kyoto Imperial Palace. Featured amenities include luggage storage and laundry facilities.